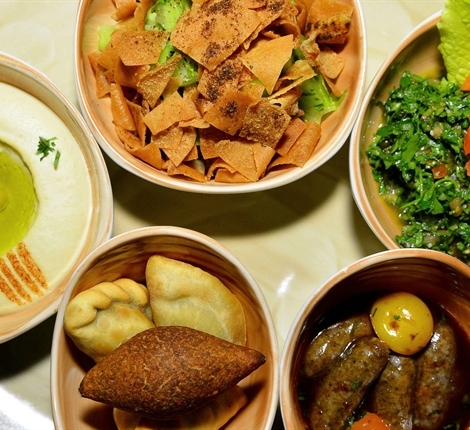 Al Khaima | Arabic Restaurant in Le Royal Meridien Beach Resort & spa.. Chef Salah Salha Was Born In Syria In 1969. Following The Completion Of His High School Diploma In 1987, He Enrolled In A Culinary Program At The Intermediate Institute For Hotel Studies In The Coastal Resort Town Of Lattakia, Syria. It Was Here That He Graduated With A Certificate In Hotel Science. Starting His Career In 1992 With Le Meridien Chain And Later The Blue Beach Resort In Syria, Chef Salah Gained Invaluable Culinary Experience Exploring The Diverse Flavours Of Mediterranean Cuisine. In 1995 Chef Salah Joined The Starwood Hotel Group, Starting At The Sheraton In Sana'A, Yemen, Where He Quickly Rose Through The Ranks To Become Oriental Chef De Cuisine. Chef Salah Moved To The Uae In 1999, Joining The Sheraton Deira, Where He Headed Up Dubai'S Arm Of Al Fardous Lebanese Dining Restaurant. 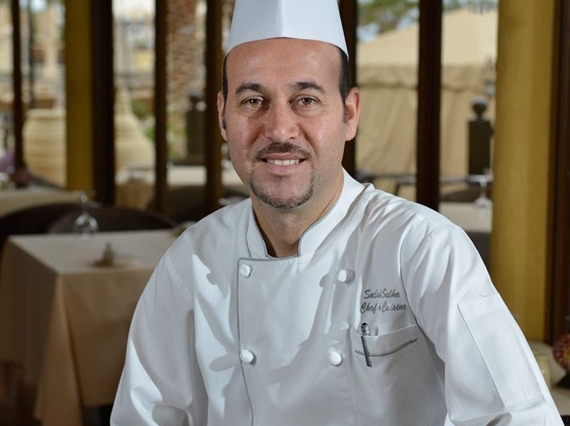 In 2002 Chef Salah, Joined Le Royal MéRidien Beach Resort + Spa Where He Currently Resides As Chef De Cuisine Of Al Khaima, The Picturesque Arabic Restaurant Nestled In The Gardens Of The Hotel. Within This Position, Salah Is Also In Charge Of All Arab Dishes For Brasserie And Banqueting, And Has Become A Regular Guest On Ajman Tv'S Weekly Cooking Show Maedati. A Firm Favourite Of Le Royal MéRidien Guests And Dubai Residents Alike, The Delightful Al Khaima Restaurant Offers A Beautiful Arabic Setting, Complete With Outdoor Kebab Grill. Al Khaima'S Large Outdoor Terrace And Courtyard, Dotted With Gazebos And Sofa Settings Is What Really Gives The Restaurant Its Peaceful Atmosphere. Just Meters From The Beach, The Restaurant Is Tranquil Yet Lively, As Musicians Perform On The Terrace Whilst The Aromatic Smells From The Shisha Bar Add To The Relaxing Ambiance.